Mao Jinghui is a six-month-old girl from the remote village of Dazhou, Sichuan Province, China. Her parents didn’t receive much education. They moved to Jiangsu to do some odd jobs. They describe their life as peaceful, though they are poor. However, when Mao was born, they described feeling like the “entire world seemed to come crashing.” Mao was born with a cleft. 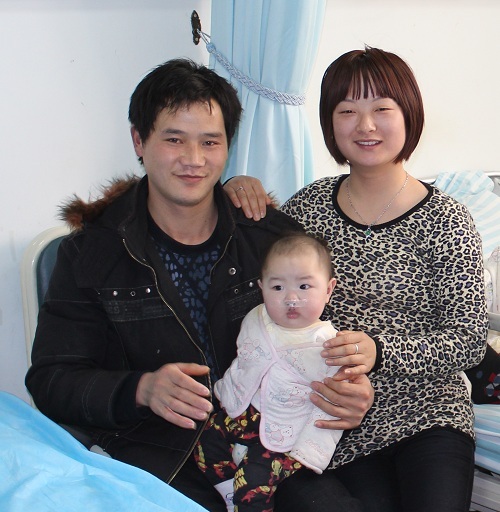 Her parents did not know how to explain her cleft to their grandparents. Soon, gossip started. Luckily, someone they worked with let them know about Jiangsu Stomatological Hospital, a Transforming Faces’ partner hospital in Nanjing. They visited the hospital and were hopeful. 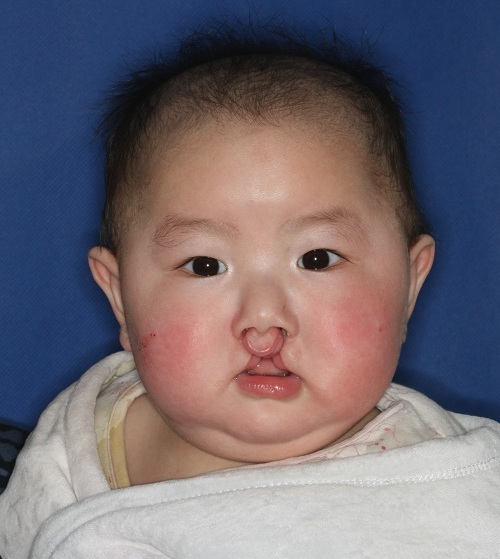 Mao has since received nasoalveolar molding and primary lip repair surgery. Transforming Faces partners with the Amity Foundation, a Chinese voluntary organization created in 1985 to promote education, social services, health and rural development, and the Jiangsu Stomatological Hospital, providing stomatological treatment, teaching, research and training.